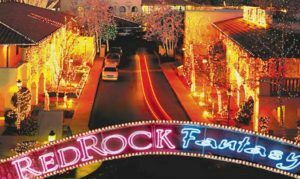 Enchanting at any time of the year, the small city of Sedona, Arizona transforms into a holiday wonderland between Thanksgiving and New Year’s. 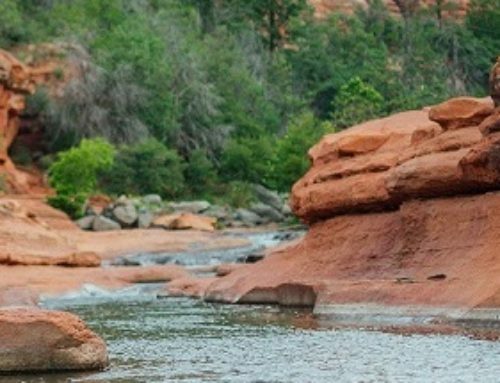 From captivating displays of lights to family-friendly celebrations, Sedona’s iconic red rocks—which are often dusted in snow during the winter—provide a stunning backdrop for a unique holiday season experience that will delight visitors of all ages. Each night from December 1 through January 1, the famous Tlaquepaque Arts and Crafts Village will convert into a Tinsel Town (formerly Red Rock Fantasy) full of mesmerizing animated light displays, festive storefronts, and even a grove of ancient Sycamore trees dancing in sync with the music every fifteen minutes. As visitors stroll along Tlaquepaque’s cobblestone walkways, they can browse a wide variety of shops for unique holiday gifts, including handmade jewelry and artistic treasures. Tlaquepaque continues to be a star of Sedona’s holiday season throughout December, with the Festival of Lights on December 10—at which visitors can enjoy seasonal tunes sung by a choir as 6,000 luminarias are lit throughout the village—and free outdoor ice skating on December 30 and 31. 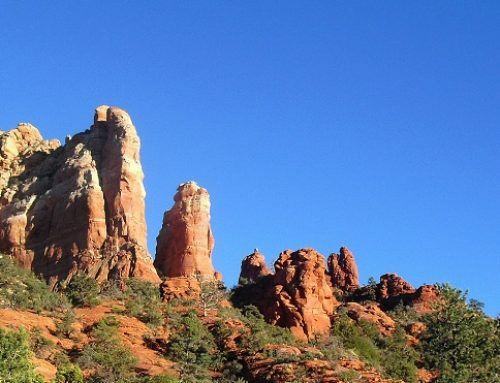 Always a hub of arts and culture, Sedona dazzles during the holidays. On December 2, the monthly First Friday Art Walk will take on a festive theme as visitors stroll from gallery to gallery. On December 3 and 4, the Sedona Chamber Ballet Company will partner with world-renowned dancers from the Phoenix Ballet Company for a special production of The Nutcracker at the Sedona Performing Arts Center. 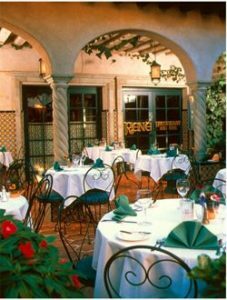 Sedona also offers an impressive selection of fine dining, which epicures can sample during a holiday edition of Sedona Restaurant Week. As part of this semiannual event, a variety of local restaurants will offer prix-fixe, three-course meals showcasing some of their tastiest cuisine from December 1 through 11. 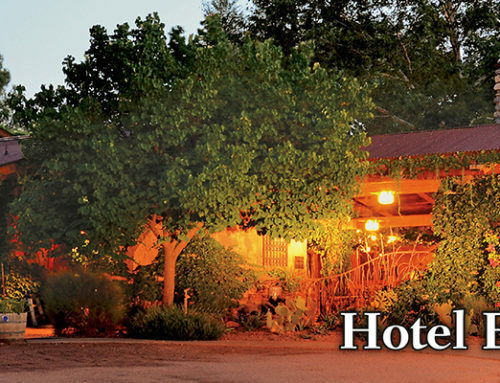 Visitors can find other exciting holiday experiences within easy driving distance of Sedona. Beginning on November 11, Grand Canyon Railway’s Polar Express will depart from Williams, which is located approximately 60 miles from Sedona. This enchanting train ride traverses the nighttime wilderness before arriving at the “North Pole,” where passengers will be greeted by a lively cast of elves singing holiday songs, chefs serving cookies and hot chocolate, and of course, Santa himself. As a fun finale to the holiday season, Blazin’ M Ranch—located in Cottonwood, less than 30 minutes from Sedona—and the Verde Canyon Railroad will host a family-friendly New Year’s Eve event. Visitors will embark on a classic train expedition, complete with champagne and other seasonal treats. Winter is the prime season for bald eagles in Verde Canyon, so passengers may catch a glimpse of these majestic creatures as they journey down the tracks. The railroad voyage concludes with a chuckwagon dinner at Blazin’ M Ranch, along with an entertaining show by illusionist Kevin Barnes. 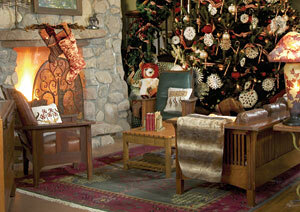 More information on holiday events in beautiful Sedona may be found at http://www.holidaycentralsedona.com. 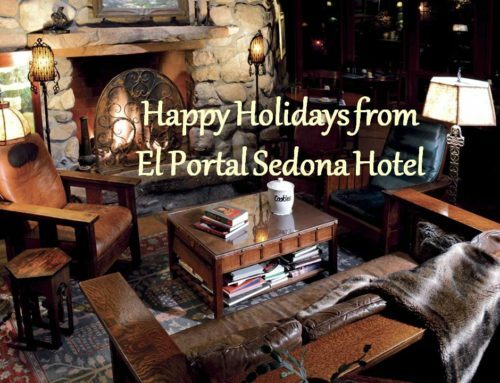 For visitors seeking to experience the joy of the season in Sedona, El Portal Sedona Hotel is an ideal base for the whole family, including pets. Located steps from Tlaquepaque Arts and Crafts Village and near all of the best that the area has to offer, El Portal offers a luxurious lodging experience with twelve uniquely appointed suites. El Portal has been named a Four Diamond Hotel by AAA, one of the top hotels in the Southwest by Conde Nast Traveler, and has received Trip Advisor’s Certificate of Excellence Award. 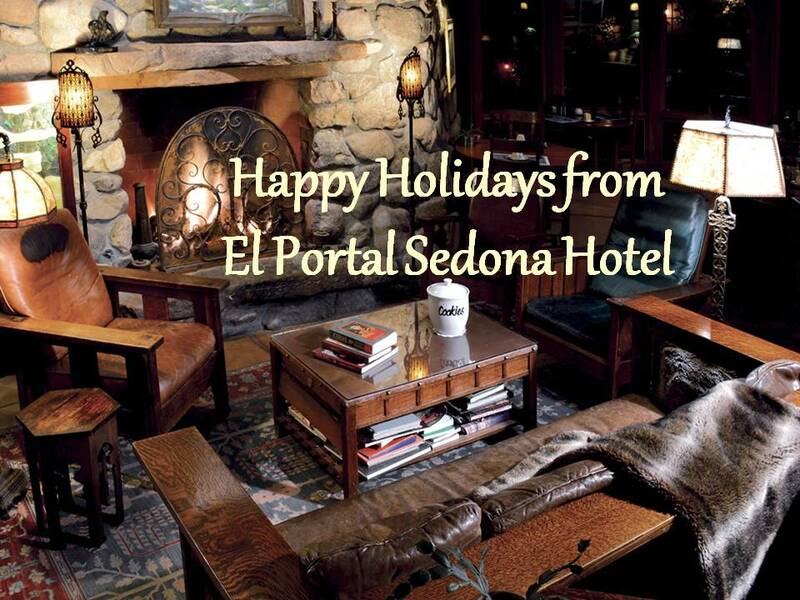 To learn more, visit http://www.elportalsedona.com.